This week’s edition of the YNaija Interview was with popular musician Ruggedman who shared with us his thoughts on rap in Nigeria, the current strides he’s making in his career, and the controversies he’s been involved in over the years. @RuggedyBaba: @YNaija 1.the beat did. It is produced by @Ogajojo1 and once you hear it you will know a Fuji artiste is needed on it. @RuggedyBaba: @YNaija 1.He was ok with it.We met on d same flight 2 London last year n so it was not that difficult getting him. when rugged came into d scene tell me which oda rapper can you really point out?…no1…to refresh ur memory, wen he drop "ehen" no rapper wanna be diss so they all cautioned…den we all said no more "megede" from eedris….abi i lie?…'peace or war' which fetchd him several awards den and every time he got nominated wiv modemine rugged always win d award …"AMEN AWARDs" nd odas "check" dat…den come "BARAJE" which eventually added to is fame and raked him more money… now tell me which rapper made dis kind of move bake den?…even MI witted dat "1 fin about ruggedman is dat he tot us hw to do gud music"…even ikechukwu wz asked who wz he scared of wen coming to d industries nd he said …ruggedman" if u dey 9ja dat tym u'l knw wot i'm talkin about…which artiste fit fyte kennies @ [email protected]?…rugged did and he make am…..flash bk abeg,leave sentiments. I dont know if Rugged did revolutionize 9ja music or not but as far as am concerned, i started paying close attention to 9ja music in 2006 after taking my time to listen to Rugged's first album Thy album come. That was two years after the release of the album so i owe him that. He might not be the best rap artist in 9ja right now or best selling but he was good and still very good. I only pray in his new material he gives us more of From Dublin with luv, Wont battle and the likes and less of Ireke and tone down his auto-tune. There was just too much of it in Make me feel alright. I wish him the best. Some of u that come online and yarn dust go on star quest and mess up. Abi oo. Dis guy must not knw d meanin of revolution. Revolution is wat fela,Bob marley,eedris and co did n r doin. 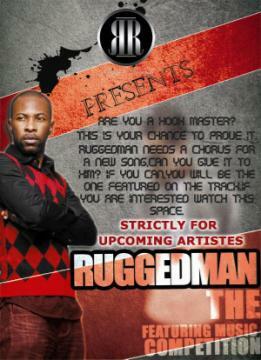 Wat rugged man did was pure gimmick. D guy is jst too fake. Henhen! Pls do tell of how u revolutionise d music industry? When and where?